Hey, everybody! Guess what! Perchance to Dream is out! It’s available now on Amazon, Kobo, and Scribd, and it should be on Barnes & Noble and iTunes shortly! My favorite part of this project was being able to work with so many different authors. It was great fun getting to know all of them, so now I want to give all the lovely readers a chance to meet them, too! Over the next few weeks, I’ll be posting interviews with the different authors featured in PTD. To start, here’s the lovely T. Damon! This is going to sound very strange, but I should probably just tell you the real inspiration behind this story. I had a baby, a daughter, about eleven months ago. She is somewhat of a music elitist already, very picky about the songs and artists that she likes. From the time she was born, I would sing her songs that I remembered from my childhood, one of which is a song from 1960 called “Running Bear” by Johnny Preston. The first time I sang her that song she went wild—and has been obsessed with the song ever since, so I find myself singing or listening to that song more times a day than I’d actually like to, despite it being a great, catchy song. The song is about a Native American brave named Running Bear who is in love with a girl named Little White Dove. The two aren’t able to be together because of a war between their two tribes. The song ends with them jumping into a river together and being pulled under—now able to be together forever. My story isn’t quite that morbid, as I wanted to keep within the young adult genre. The only real inspiration I took from the song was the idea of a forbidden love between two members of fighting tribes. Aside from that, I’ve always been interested in Native American lore and mysticism, and wanted to write my own folk tale of that nature. Your story is unique in the anthology because it’s inspired by one of Shakespeare’s sonnets, rather than by a play. What drew you to Sonnet 25? I think by the time I chose my Shakespearean piece most of the books I was interested in doing were already taken. So I looked up his sonnets, and upon seeing how many of them there were, I started picking numbers I liked and checking out those particular sonnets. My birthday is February 25, so I looked at Sonnet 25. Upon reading it, I found that it was perfectly along the lines of what I thought I wanted to write about, and since Running Bear is constantly playing in my head nowadays I created a rough outline off that inspiration. I did some more research on Native American names, and stumbled upon the idea of the Beast Who Walked Without Sound, so I just went from there. You’re also the author of the young adult fantasy The Falling. Can you tell us a little bit about that series? 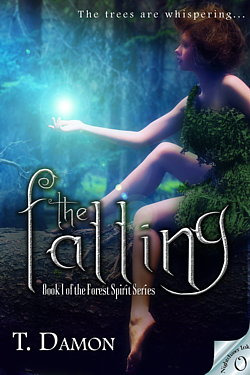 The Falling is Book 1 of the Forest Spirit series, and was just recently released by my publisher, Nightchaser Ink Publishing. It’s the story of an enchanted forest that is swept into a drastic upheaval when its protective Higher Spirit, Labete, falls from grace and begins wreaking havoc on the forest and its inhabitants. The Nymph King refuses to take action to save the forest, so a young nymph, Narena, decides that she must do something about it. She’s joined by a warrior nymph Kellen, her brother Nyxen, and her sage salamander friend, Hawthorne, all as desperate as she to destroy Labete and restore the forest’s prior balance of good and evil. I actually just finished my edits of Book 2, which is entitled The Haunting, and am finishing up the final touches before I send it off to the publisher. I won’t give too much away, but I will say that some business is left unfinished from The Falling, leaving the forest still somewhat vulnerable to evil influence. It takes place a generation after The Falling, so there are some new characters as well as some old. This book is, in my opinion, much scarier than the first, but I wouldn’t have it any other way. Overall, the series embodies everything I love and have loved growing up, and draws a lot of inspiration from my affinities for nature, spirituality, mythical creatures, magic, and animals. It’s enchanting and whimsical, but also quite spooky and frightening at times. If I can prompt a sense of introspection with this series from each reader—about anything, really—I’ll feel like I’ve done my job as a writer. I feel like I’m constantly being bombarded with a slew of ideas at any given time, it’s just a matter of which ones I choose to explore more in depth. Generally I’ll create a very rough outline for my story—plot out some situations that I feel need to happen at some point, list out the characters and their backstories, etc. Then I just start writing. Most of the time I end up going in a completely different direction than what I’d originally intended, but as I ponder the storyline more and more, it usually comes out better than I thought it would. As I go along, I will make other lists of the sequence of events, but I don’t always stick with it. I just write, and write what feels right for me and my story. I do a lot of automatic writing—sometimes I’ll go back and read my stories and be amazed at the things I’ve written, not even remembering how I described things or what dialogue was spoken. I often think I’m working under the influence of a muse, but that could just be my Piscean way of thinking. Once I’m in the zone, I just write. Do you have any other upcoming young adult projects? Currently I’m working on a novel about an adolescent girl and the gradual deterioration of a lifelong friendship. There are some slight elements of fantasy thrown in here and there of course, but mostly its about this girl’s journey through some rough times in her life, and how she manages to stay true to herself throughout it all. I’m about halfway done with this novel as of right now. Another book I’m thinking of releasing in the coming months is long completed, it’s just a matter of going through it one more time and polishing it up. This one is about a boy, a crush, and a curse. And of course it involves a certain amount of fantasy aspects as well, because why wouldn’t it? I’m not sure if I’d even want to write a story that didn’t involve some element of fantasy, nor am I fully certain I could even if I tried. I think it comes from my own life, and the fact that I basically live in a fantasy world all the time anyway. I hope you enjoyed this interview with T. Damon! Her first book, The Falling, is available now from Nightchaser Ink. 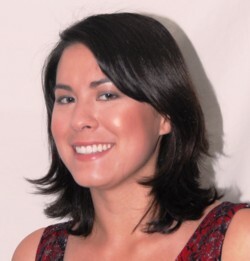 If you’d like to know more about T. and her writing, you can visit her blog, or her page on her publisher’s website. She’s also on Twitter at @SageSalamander.